133rd recipient – A wheelchair for little Vikas. 133rd recipient of help. A wheelchair. 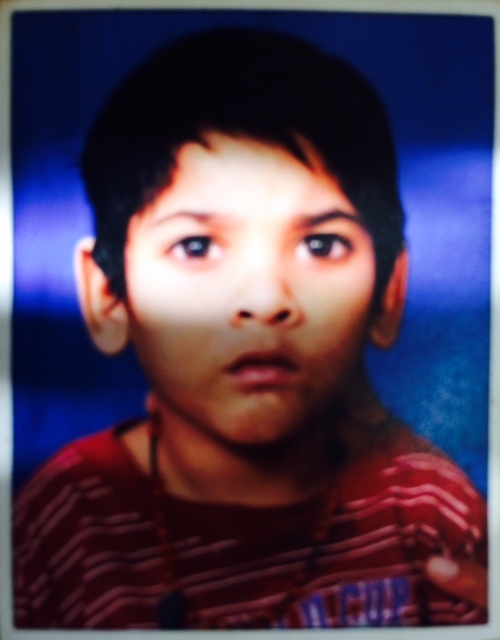 Vikas has CP (cerebral palsy) and is unable to speak. Even his hands and legs refuse to obey the commands of his brains. Though they must be dying to be obedient beings so that their little Vikas can be free to speak, walk, run, dance, sing, like most of us. Now that Vikas is growing, he is ten now, he is getting heavy to lift. His parents (Dhobi Shrawan Nirmal, the 123rd recipient of our assistance in the past, a livelihood bicycle) finds it hard to carry him to two hospitals, KEM at Parel, and one near Haji Ali, which he needs to visit twice a week for Vikas’s physiotherapy. Dhobi Shrawan says the improvement in Vikas is showing, thanks to the physiotherapy sessions, even though its very minor and very slow. From next month Vikas will be going to a free school for specail children at Juhu. A kind lady, stranger, he happened to meet at KEM offered to get his child admitted. God Bless her. While one child gets some quantity of assistance, his other child, his elder son who has passed 12th, cannot study any further, and has joined his father in his profession. Because Dhobi Shrawan cannot afford to send him for college education, so he has begun helping his family better their income. Twice a week, when Dhobi Shrawan needs to travel to these two hospitals with Vikas, it is his elder son who takes the reins of their family profession in his young literate hands. Dhobi Shrawan was seeking government assistance in procuring a wheelchair to carry Vikas to hospital, and for other social visits. However, after running around for over three months he felt defeated by the paper-work-obstacles in the path to the coveted wheelchair. We decided we must reach out to little Vikas. At that time itself, April 2015, Dhobi Shrawan had told me about this special child of his and their need for a wheelchair. I had promised myself that soon we will help him. I completely forgot. So what reminded me of the promise I had made myself? Can we please do one more donation on 11 th of Aug or some nearby date? Sure. Is it someone’s birthday?, like it was sometime last year when you made your first donation of a bicycle through Bicycle Angels. The same boy on whose bday you donated a bike last year? Ah! its been a year already! how time flies man. oh i did not realize that last year. that he was no more with us. What happened, if I may ask? he was less than ten years young i recollect. Nothing really. he was eating and the food got stuck in his breathing system, somehow, and it was not able to come out in time. I went silent for a while. Unknown to G, I cried then. Because last year when we donated a bike on his son’s birthday, I was fascinated by the cuteness and glowing face of his son. he had sent me his photograph to post when i had asked him to send me a family photo to post, of our donors, like I do. This conversation with G, made me keen to help a child this time, because it was a child’s birth anniversary on which his parents were reaching out to someone somewhere in this world. I though the recipient of his kindness should be a child, if possible, but if I come across an elder who needs help we will help the elder. No choosing and discrimination in charity. Its such a beautiful coincidence, that had G’s son been with us today he would probably have been the same age as Vikas Nirmal, the CP child to whom we happened to donate this wheelchair. Vikas’s father did not have a photo of him on a wheelchair, and I never insist on one, so he sent me a photo he had taken of Vikas in a photo studio, and that’s the one I have posted here. Thank you dear G, and your wife, and to Gajra and Sailesh Kottary, for donating this wheelchair to little Vikas. Dhobi Shrwan contributed partially towards this purchase. Thank you to Ankita and Himanshu for the discount on our wheelchair purchase. Story of a cyclist and trees. Fallen angels. The story of a cyclist and trees. I have been riding in the rains daily since a week. 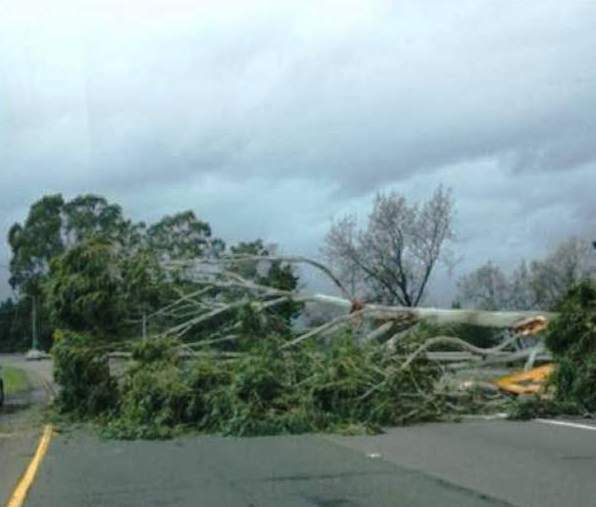 Never before have I seen as many ‘fallen trees’ as many I have witnessed over the last three days. After a while, the sight of trees fallen by the wayside, on streets, on pavements, inside premises, saddened me. Yes, I began to feel very sad on my rides. Because, these once-beautiful-majestic-trees, their plight now, their slow deaths, their painfully twisted and mangled branches, cracked trunks, many trees were still partially breathing and even had their colorful flowers in tact, (I am certain if i went closer to them they would still have some fragrance and color to share with me) somehow made me think of so many people who get, mangled, broken, destroyed, by life. Including myself. There have been times in my life I felt defeated by emotional issues that overwhelmed me.. I too then felt, even fell, just like these trees then. Somehow, with my parents’ help and my own spirit at times, I remained rooted and thus survived. Alas, most of these trees i saw dying gradually in Mahableshwar and Munbai will not. Like thousands of people whose back and spirit breaks forever for reasons beyond their strengths and control, just like the tempest winds and storms of skywaters broke so many trees that once sang to the skies and danced with clouds. You cannot attempt nor change the times of dawn and dusk, the serial order of seasons, or the direction of the traveling winds. You can try to change your circumstances. Mewala is from UP, and lives in Bandra. He arrived in Mumbai in 1978, when his father, a dhobi, passed away. Mewalal was studying in class 6th then, and had to drop out of school. 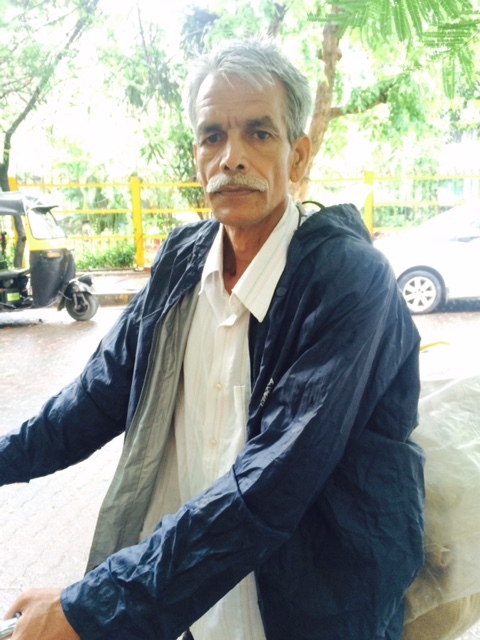 Under the able guidance of a caring relative, he migrated to Mumbai to support his family; “…I was the eldest. I had to shoulder their responsibility too.” he said, and not as a regret. Mewala’s life proves that even an unfortunate uninvited responsibility can be an opportunity for a chance at better life. You cannot attempt nor change the times of dawn and dusk, the serial order of seasons, or the direction of the traveling winds. You can try to change your circumstances. I believe. Mewalal left his roots behind and grew new ones, solid ones, in a distant land, establishing his livelihood as a dhobi in Mumbai eventually, and beginning from the young age of 17. I asked Mewalal about his best client, either someone who always pays in time or treats him with much respect or agrees to his increase in wages etc… and Mewalalji named Mr Anil Dhawan and family, who once resided at Pali Hill. Mewalal’s eyes went moist when he narrated this incident to me. Even I paused out of respect for how the Dhawan family showered their affection on their laundry services gentleman. I remembered our family Doctor, Dr. Gokhale. A most admirable, honorable, soft hearted, compassionate, empathetic man I encountered since my teens in our home. However, Dr Gokhale’s humble box of laddoos was one that my father, and we all, awaited the most, and being the first sweet that arrived almost every Diwali for over three decades (30 x 3 = 33 years minimum), it remains unforgettable for me. The best thing, Dr Gokhale’s sweets arrived even in those years when my Dad’s films flopped at the Box Office and he did not have a large following of producers and directors. What Mrs Anil Dhawan did for Mewalal was, she made him feel AN EQUAL, I have never done this for anyone who has served me or my family in a similar manner. This Diwali I am going to ask my driver, Rabindra Singh, my malee / gardeners Rajendra Bhosle and Jagdish Tiwari, and my domestic helps Manoj and Lalita, what Mrs Dhawan asked Mewalaji which makes him miss them even today, because they shifted from Pali Hill to another location that is now too far for him to bicycle to and serve. Thank you Mrs Dhawan. I believe, the ‘big’ gifts we may sometimes be expecting from some people on festive occasions Diwali Xmas Bdays Annivs etc may really be meant for our ego. And some people sometimes gift them to our ego, not to us really. Thank you to Arvind Divay, and Shraddha Shah for buying this bicycle for Mewalalji. Mewalaji contributed nearly half towards its purchase. Krishna Pandurang Gobre (dada) lives at Khar Danda. He has a family home near Ratnagiri. His wife passed away a few months ago. She suffered a stroke, which resulted in her one side getting paralyzed. That side went blue and black and within four months she travelled beyond his skies. When Krishna dada told me about the death of his wife, his aged feeble lips quivered. Not a tear escaped his eyes. His deep sorrow and even his deeper loneliness at losing his life companion seeped into me even through the distance we sat across. What was even sad was, he spent nearly Rs 3 lacs from his Public Provident Fund account on her cure, yet, lost her. Krishna dada has been working as a malee since his teens. He has a son who is married and works someplace in Mumbai. His daughter in law and son look after him very well, and are devoted to his care, he said very proudly. One incident from his life that stood out for me was, when Krishna dada was occupied with Otters Club, at Bandra west, as a malee, He fell from a tree while working and injured his back. The injury was severe and he was bed ridden for nearly one year. His employer then, Otters Club, did not stop his salary, and even when he wanted to return to work they allowed him to but did not let him work for another one or two months. They were willing to continue paying him his salary for another year, they assured him, if he feels he finds it tough to work and wants to rest some more months. But Krishna dada, an honorable man who earned his way up is what I thought of him, was determined to return to work. Maybe to justify the salary they had continued to pay him while he recuperated. The club management finally gave in and allowed him to come to work daily. But they kept him inactive until they were fully confident he is not harming his recovery in any way by beginning work. My hat off to Otters Club and their managing committee that nurtured an injured employee through his long illness. This happened sometime two decades or more ago. Another thing that stood out for me about Krishna dada him was, his self-pride, his high self-esteem, his even higher values. On many occasions, he faced financial challenges. Urgent need for money, like when he was bed ridden for a year and decades later when his wife was paralyzed. Various people offered him financial help; his sister in law who he had assisted financially for her marriage, his brother’s children on whose weddings he had spent from his own savings. From the little Krishna dada told me, about how he has spent from his savings in getting his nephews and nieces married off, he did admit (on my prodding) that he could not save much from his earnings because of those deeds he had dutifully done. However, he did not admit it with bitter regret. He stated it simply as a fact, like we speak about a duty or dharma. Krishna dada’s happiest memory is when his house, truly a ‘home’, was singing with voices with the presence of his extended family. He fondly recollects the younger generation, as they have a joint family house back in the village, addressing him as ‘Dada’, and he takes immense pride in that as for him it’s a term of great respect. I decided to address him as dada. Some of the building societies dada continues to work with today have told him to come to work even if he cannot work as much as someone younger. They just want to continue to pay him as long as he comes to work, and does not necessarily ‘work’ daily. That, is charity too, in my opinion. Like many diary farms in India continue to feed and care for the cows that they took milk, cheese, butter from more than a decade ago. Same same. I really admired this ‘dada’. What a high level must have been his commitment towards his work and his personal behavior too, when he was a more able worker, that his employers, including Otters Club, just do not want to let go of him! My hat off to Dada. I was happy we were able to buy a bicycle for him. We took a negligible contribution from him, considering his age too, in my humble opinion. Because, those who offered to help him on many occasions may have felt some sense of pride in their act of goodness of having offered to help a needy and worthy stranger or relative. But Krishna Dada has immense pride in refusing them and managing on his own. Thank you to Dr Manoj Bhatia, Sonika and Rajeev Munjal, and Surabhi Shah for contributing towards the purchase of this new bicycle for dada. He made a token contribution towards the same.